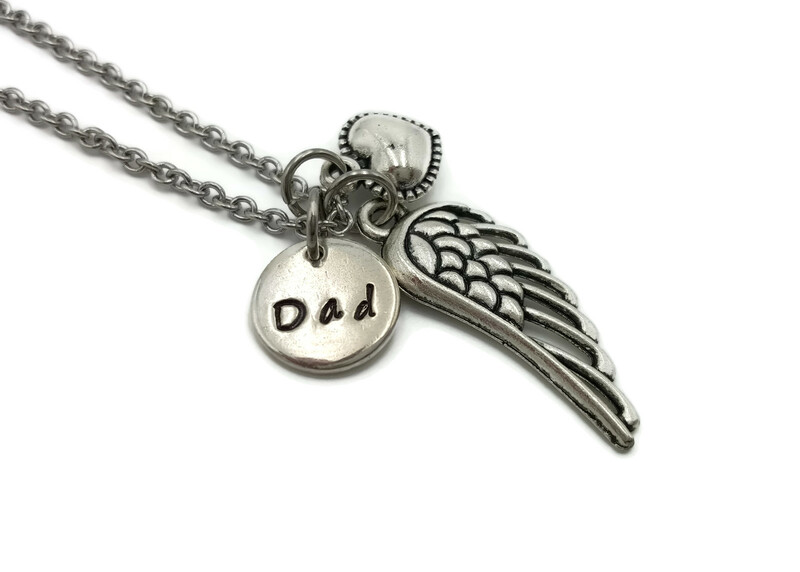 This beautiful Memorial Necklace for the loss of a father features an 18" stainless steel chain, an angel wing, a pewter* "dad" hand stamped charm (about 1/2" inch), and a heart charm. *This necklace is now created with a pewter hand stamped initial charm. I just love the texture and weight of this piece and the back of the charm will not show the stamped impression like many other less expensive alternatives do. 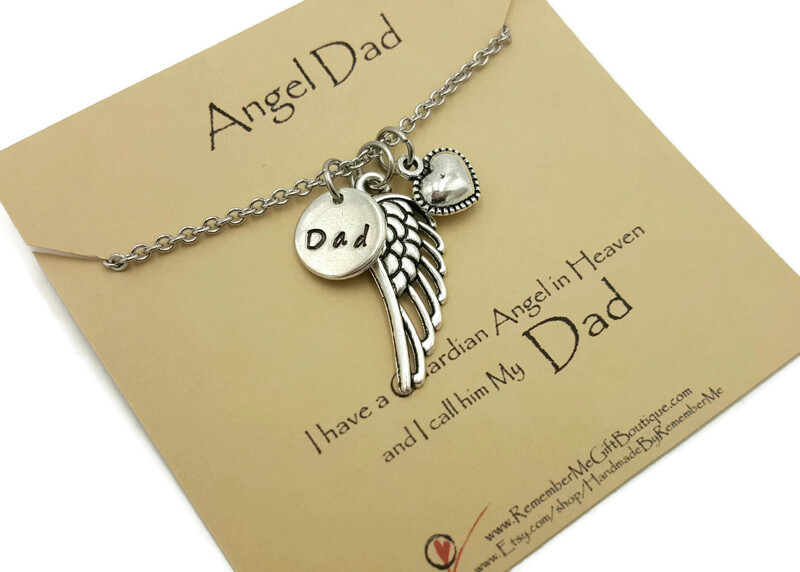 This necklace is packaged with a gift card "Angel Dad" and a gift box. 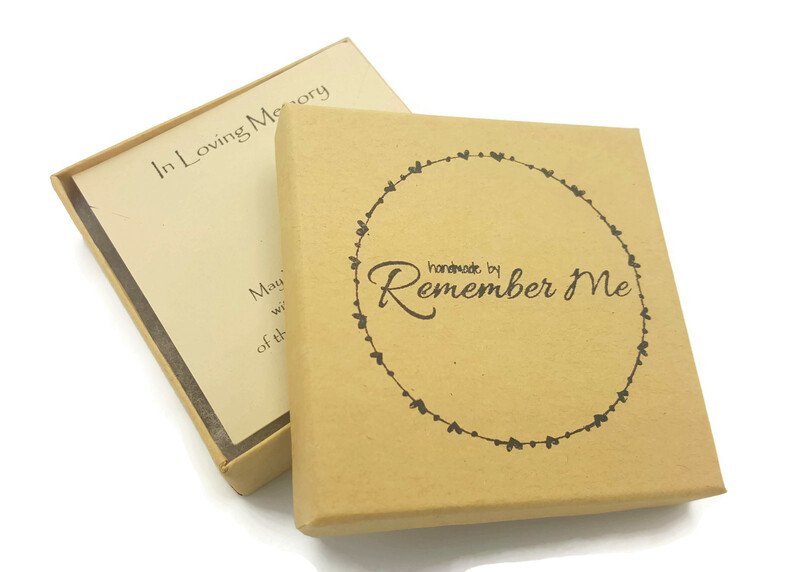 A perfect Memorial Gift Idea for someone who has lost their dad.